PEACEMAKERS EXPEDITION & SAFARI: Are You Wondering About Tanzania Adventure Tours For Exciting Surprises? 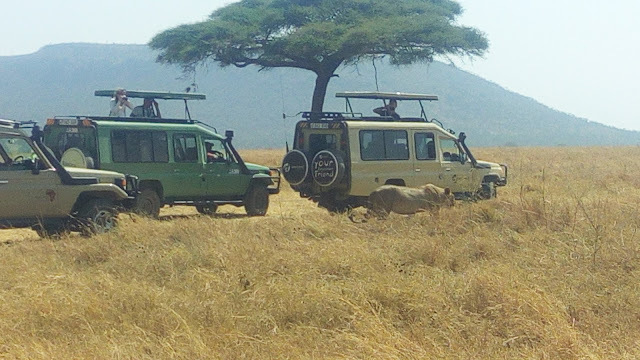 Are You Wondering About Tanzania Adventure Tours For Exciting Surprises? One of the most popular tourist destinations in Africa, Tanzania is well-established as one of the best wildlife-viewing destinations in the world. If your dream is to experience an unforgettable Tanzania Adventure Tours through the most diverse and delicate ecosystems on the planet, then this is the right safari tour in Tanzania for you. Embark on an unforgettable adventure when you join the Safari trip to Tanzania’s renowned game reserves and national parks. Tanzania adventure boasts so many accolades - from Africa's highest peak, Mount Kilimanjaro, to the vast array of big game wildlife migrating along the Serengeti plains. Although it is only half the size of Alaska, it boasts a fantastically rich tapestry of unique places, people and experiences. Tanzania Adventure Tours will amaze your senses and challenge your spirit of adventure. With so much to offer, Tanzania is a country that will leave you wanting more. To adventure to northern Tanzania is to belong to an experience rooted in discovering the range of African beauty. Located on the eastern coast of Africa, right below the Equator, Tanzania is home to the towering Mt. Kilimanjaro, the sprawling plains of the Serengeti, and the wondrous mystique of Lake Eyasi. Tanzania is one of the leading wildlife safari destinations in Africa and offers unparalleled attractions including the world famous Ngorongoro Crater, Serengeti and the highest mountain in Africa – Mount Kilimanjaro. Tanzania Adventure Tours takes you to one of Africa’s most diverse countries - see the ice-capped Mount Kilimanjaro with its lower lying rain forests, Zanzibar’s sandy beaches, the Serengeti’s savannah plains and the Ngorongoro’s mopane woodlands and salt pans. It is not just the environment, but the cultural diversity, which is one of Tanzania’s most pleasant and refreshing surprises like Arabic and Indian influences in Zanzibar. Thinking of an Adventure vacation? Let PEACE MAKERS EXPEDITION help you plan your dream vacation to Tanzania – The land of Kilimanjaro and Zanzibar. We at Adventure strive to share the stunning natural beauty and wildlife splendor that Tanzania has by offering wildlife safaris that are full of adventure and allows you to enjoy an unforgettable African safari experience. So travel around Tanzania to experience the culture and learn more about this adventurous place. Embark Tanzania Adventure Tours to experience a diverse, daily itinerary coupled with magnificent accommodations that are specifically Tanzanian in style. Your memories and experiences from this African journey will last a lifetime!